In response to a question whether a private sector company was included in the deal, Nirmala Sitharaman said that neither any public sector undertaking nor private sector industry was included in the agreement. India and France signed deal for buying 36 Rafale fighters, on September 23, 2016. 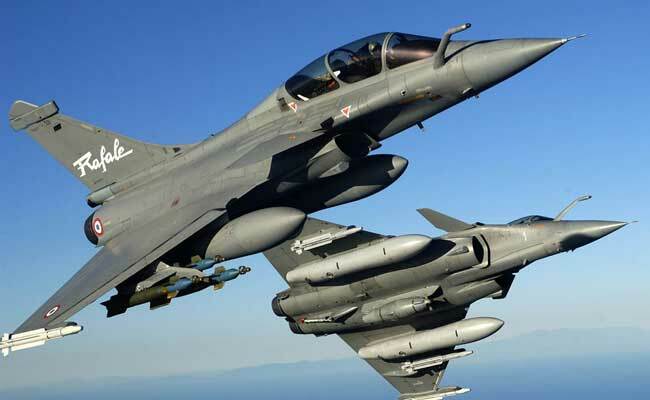 New Delhi: The details of the deal with France for the Rafale fighter jets cannot be disclosed as per the inter-governmental agreement as it is "classified information", Defence Minister Nirmala Sitharaman told the Parliament on Monday. Ms Sitharaman's response, in a written reply, came to a question by Samajwadi Party Rajya Sabha member Naresh Agrawal seeking to know why the government was not disclosing details of the deal in which Congress has alleged that the price of the fighter jets being paid by the National Democratic Alliance (NDA) government is higher than what was finalised by the United Progressive Alliance (UPA) government in a previous deal. "As per Article 10 of the Inter-Governmental Agreement between Governments of India and France on the purchase of Rafale aircraft, the protection of the classified information and material exchanged under IGA is governed by the provisions of the Security Agreement signed between Government of France and Government of India in 2008," she said. In response to a question whether a private sector company was included in the deal, Ms Sitharaman said that neither any public sector undertaking nor private sector industry was included in the agreement. The Congress has alleged that there are irregularities in the deal for buying 36 Rafale fighter jets off-shelf from France, claiming that they were being bought at a price higher than negotiated in the previous multi-role combat aircraft (MMRCA) deal under which 126 fighter jets were to be bought, and included a number of fighters being assembled in India. Ms Sitharaman has in past said that the allegations are motivated and baseless, and the price that the Narendra Modi led government has finalised is lesser than the earlier deal. Leaders of the Congress and some other opposition parties had also sought a disclosure of price being paid in the present deal. In order to replace the existing MiG-21 aircraft, a case to procure 126 Mirage-2000 aircraft was initiated in the year 2000, which was later converted to procurement of 126 MMRCAs. A Request For Proposal (RFP) was issued in 2007, wherein six vendors had responded. On completion of Field Evaluation Trials, only two out of the six vendors were found to be fully compliant. Commercial proposals of both vendors EADS and Dassault Aviation were opened and negotiations were commenced with Dassault as the L1 vendor in November 2011. The RFP was formally withdrawn on June 24, 2015. India and France signed the inter-government agreement for buying 36 Rafale fighters, off the shelf, on September 23, 2016, following long negotiations on the deal, agreed upon during Prime Minister Narendra Modi's visit to France in April 2015.